Last year was my 30th class reunion, and it was the first one I had attended. I talk about that here. 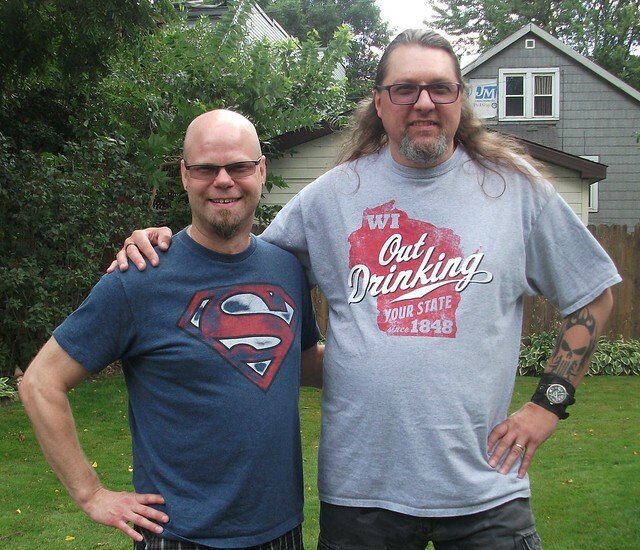 At that time one of my great friends from and since high school, Gary, came back to the area for the reunion from down south and I was able to spend some good time and have some fun hanging with him again. That post about Gary's visit is here. My other great friend from high school is Mike, and he and Gary were friends well before I nosed in. I got myself invited to a Ronnie James Dio concert here in Madison, with Dokken as the opening band. That was in late 1983, maybe 1984... 'twas a long time ago now. We lived in a town less than an hour away. 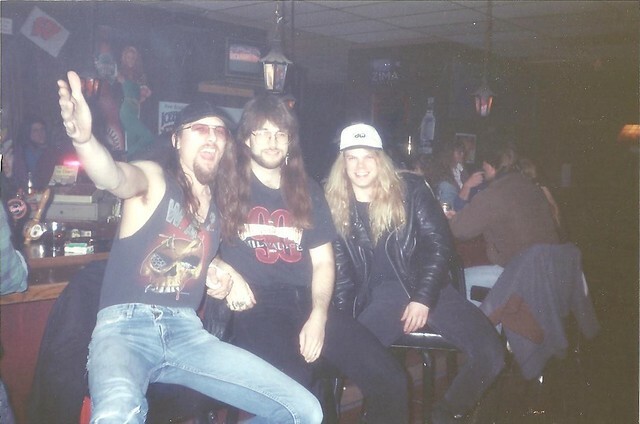 Mike was a year younger than me and Gary in high school, I'll repost the picture of all 3 of us from 25 years ago, a few years past high school, somewhere below. We've been mostly out of touch for many years, just checking in when things happen and such, and I think that goes for all three of us. But it should also be expected, as we all live in different states now and have our own lives that are busier and more complicated than back then. I just happen to be closest to where we came from to be able to benefit from getting the chance to see them sometimes on their travels back for other reasons. I'll take it, these are some of life's treasures. Mike and I had a couple chances to meet up in the recent years when he came back in the state, but for circumstances it ended up just not working out. He seemed to want to make it a priority this time, and I was more than happy to see him when he showed up here midday yesterday. I knew his destination was the hometown but I didn't realize at that time it was for his class reunion. He had his young son with him and they had been on the road for some time. After a welcoming and settling in we had grilled burgers for lunch. Kind of a last minute plan, and I thank my lovely wife for doing all the work so we could visit. Mike is one of my oldest and best friends. He was coming to my house and I wanted to impress him because, you know, we're still friends even though we haven't been close recently so he hasn't seen the cool little house and yard we have and all my toys and creations that go with it. I did give him the nickel tour, also so we could separate and discuss 'adult' topics without the boy listening. Yes, stuff happens that I won't write about here. Man, I miss hanging out with him like we used to, but that couldn't happen today. Still, he's got a great boy and I know Mike is proudest of him above all. I did make one faux pas during our visit when I forgot what was actually in a music video I played on the TV with the boy in the room. Nothing terrible, just a little inappropriate. Typical for me, I know I have the most unspoken embarrassing moments between me, Mike and Gary of our shared, youthful experiences. Thankfully they've always seemed to have my back when it counted, as I have theirs, and always will. We have more years behind us than ahead of us at this point, we have to value what is there for us when we can. Thanks for stopping by, Mike! I enjoyed our visit and hopefully we can spend more time in the future. 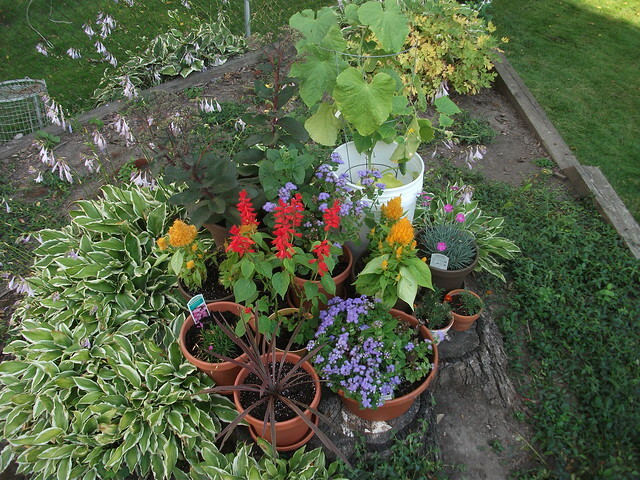 Today we re-potted some of the flowers on the stump. If it wasn't full before, it is now. I think I picked out some pretty decent plants this year, and we will be able to keep some that are perennials. The garden blog has been updated with some neat pictures, have a look! Lately I've referred to having trouble with 'critters.' I haven't written much more because I didn't know enough about it for a full post. Still don't know as much as I'd like, but the current situation seems to be resolved enough for reflection. 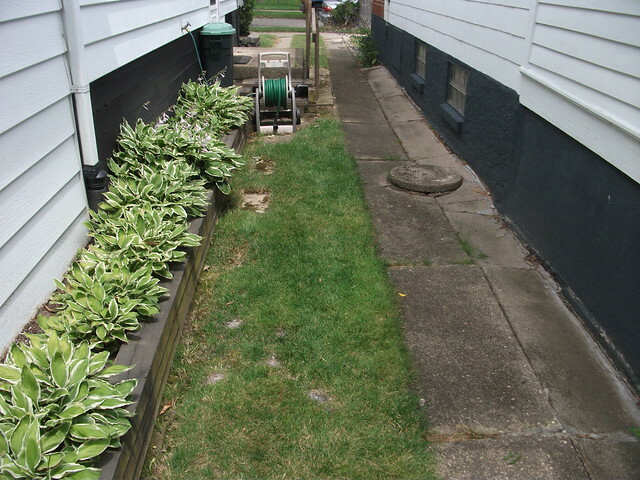 Several weeks ago I noticed holes dug in the strip of grass that I have between ours and neighbor Dave's house. I knew Dave had issues with moles in the past so I asked him about it, and wound up borrowing his deterrent, a device that you put into the ground that emits a sound at intervals, every 30 seconds or so. And you want it in tightly to better conduct the sound through the earth. Now a little back story. There have been news articles recently about a rat infestation near here, 6 or more blocks away in the dumpster at a fast food joint. The house behind it found about 300 rats taking up residence under their garage, with tunnels to the dumpster area. 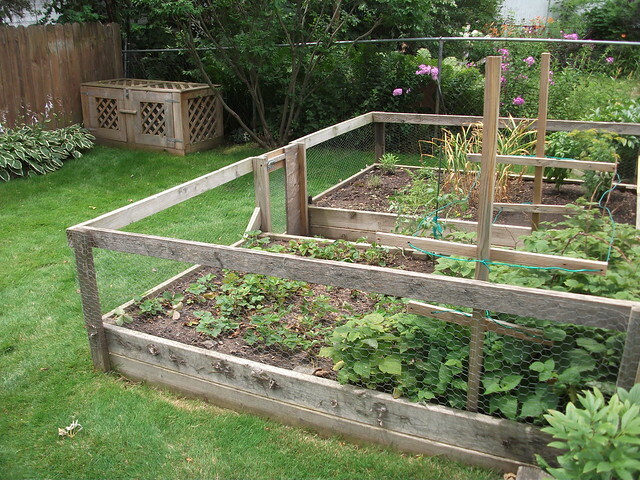 Steps have been taken in those situations by now but the articles mentioned things like putting your garbage away, how they like open compost and wood piles, and how chicken coops can attract them - and we have a few neighbors with chickens. Then, that same evening that I borrowed neighbor Dave's sonic device, neighbor Jane on the other side told me about seeing a rat in her back yard the day before. That changed my thinking a little bit. And it made me think of how even when we had the netting over the strawberry plants the berries were disappearing before we knew they were there. Thinking that maybe rats were stealing them creeped me out. I was already going to buy some type of small animal repellent, now I was going to add rat poison to my list. That night I ordered rat poison and small animal repellent online and it arrived by the time I got home from work the next day. Very impressive, Amazon. So I spent a few days putting out the poison chunks down every hole I found, about 4 by the side of the house and a couple in the back yard between the garden and the compost bin. Neighbor Jane threw about a dozen on the other side of her fence near where she saw the rat. We did not want any in Jane's yard because of her dogs. After a few days of this, checking the chunks I put out and replacing many, I came home from work and put 5 out behind and around the compost bin. Nothing had been getting into the bin but it was near the holes in back and pretty out of the way in the small spaces between the bin and the fences. Less than a half hour later I went back to check and all 5 had disappeared. It was then I decided that was enough, I wouldn't put out any more poison because I still was not sure what I was poisoning. When Jane got home I even went over to make sure partial poison baits did not get dragged over there, where the dogs could get at them. Thankfully I didn't find anything, but 5 gone that fast is pretty crazy. The sonic device was seemingly having no effect, so the next day I removed it and filled the holes. The following day all the holes had been reopened, even the hole that I had made just for that sonic device. I sprinkled the repellent around the area again and left it for a few rainy days. Eventually I went out to refill the holes again. This time I sprinkled in the small animal repellent into the hole, refilled the hole, and sprinkled more repellent on the filled in holes and some in the whole area, and did the same to one area in back. 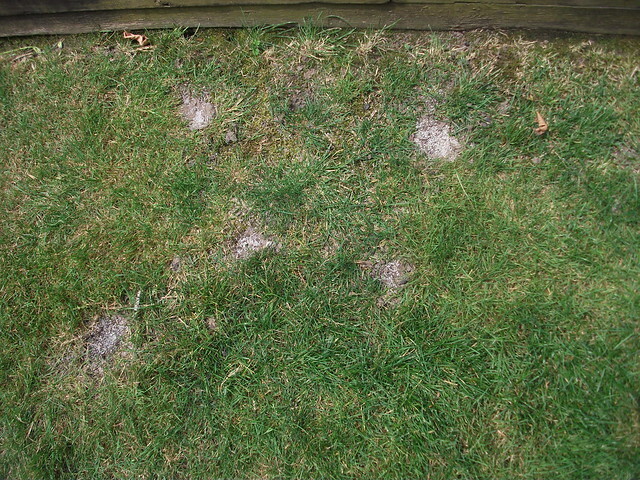 Now, several days later, the refilled holes have not been disturbed. The 'critter' situation seems to be under control once again, even though I don't know exactly what it was. Really, I never even saw anything, alive or dead, in these areas, only the evidence of activity. Who knows what goes on in my yard when I'm not looking? I'm sure the cats have a pretty good idea, but they don't seem interested in cluing me in at all. PAIN - Black Knight Satellite lyric video. New album 'Coming Home' out September 9! Last album was 2011, other than Lindemann and Hypocrisy. Killer HD graphics here, too! We managed to get a decent (read: not overly hot and humid) weekend for the holiday. On Sunday night we had some friends over for a few hours of food, fun, drinks and conversation around the fire. Much of the same cast of characters as usual, but we have not seen B&Z in a very long time, James (orange hat) just moved back to town after a year and a half or so, and he brought another Kate with him that we have known casually for a few years. Terry and Becky also came, and Terry brought the only fireworks of the evening - extra large sparklers. 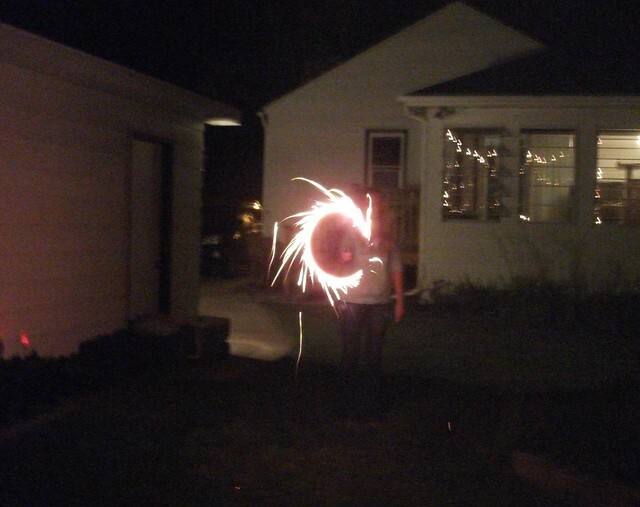 It never entered my mind to buy fireworks but, boy, it had occurred to many others in the neighborhood! I certainly didn't mind, but there were fireworks going off all around us each night of the weekend. I didn't see a lot of them, sometimes just the tops over trees and houses, but you could hear how much were set off nearby. There's enough cut wood left for one more fire pit so I must get to the logs/branches that I have sitting out. I also spent much of the day Sunday sealing the cracks between the slabs in the driveway. I got all the easy ones, now I have the tougher, wider ones down by the garage to do yet. I was standing over that torch much of the day and it was the backs of my upper arms and shoulders that got burned to a nice, bright red color. And I'm a side sleeper so either side hurts now trying to sleep! Anyway, two more chores for the list. Maybe this weekend will be nice enough to get them done. Thanks for reading! This was a good way to start the holiday weekend. Cruising the lake on a perfect day. It was not too hot, there was a good breeze, and the sky had a good cloud cover while still getting light and sun without getting baked and burned. If I could be in the same place at the same time in the next two days as the picture above, we'd see the lake much busier with boat traffic. I was a bit surprised how slow it was when we were out, it is a holiday weekend, after all. But as we came in there were already many more boats coming out. 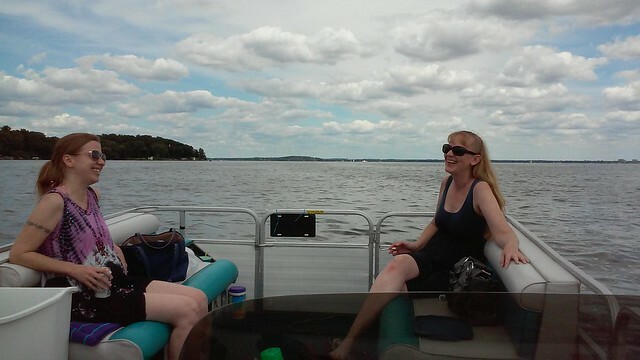 That was mid afternoon, maybe about 3, we had met Terry and Becky at the boat at noon. They let me drive most of the way so I took us a different direction than towards the cove that we usually end up in (which was crowded with boats as we saw on the way back). We dropped anchor for a bit by a beach in Middleton for drinks and snacks. I considered trying to go all the way across the lake to Picnic Point but for the slow speed of the pontoon boat would have made this a considerably longer adventure to get there and back. Basically shooting straight across the lake, too. I tend to like viewing the shoreline - the nature of it all and, you know, rich people's houses! We also saw the castle-like house today that has a turret and gargoyles. 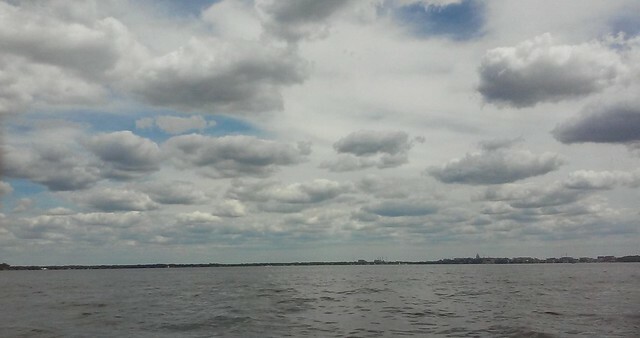 It was a great time on the lake today and a beautiful day for it. Life needs more moments like these!